If you were somehow clever enough to evade that viral Blac Chyna fight video this weekend, the mother of two spent her Easter Sunday wielding a baby stroller as a weapon at Six Flags. According to Chyna, a fan had come up to her and tried to touch her baby, Dream Kardashian, right before she began swinging the empty stroller around her head in an attempt to ward them off. Now, according to Hollywood Life, Kylie is now helping her ex Tyga to get custody of his and Chyna's son, King Cairo. This isn't Chyna's only custody battle, either. On Sunday, TMZ broke the news that Dream's father, Rob Kardashian, wants to take Chyna to court over poor child care. What’s really crazy is that this is all supposedly thanks to Kylie, who is assisting Tyga and Rob with custody options to deal with Chyna’s “out of control” behavior. Allegedly all the help is to protect the kids, but please look me in the eye and tell me their long-standing feud has nothing to do with is. 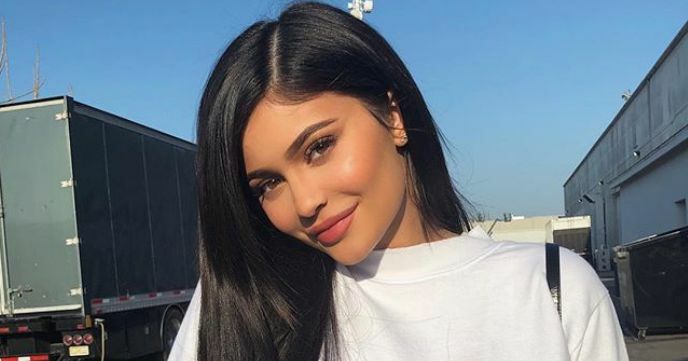 Kylie and Tyga dated for years before she got together with Travis. Tyga was even demanding a paternity test shortly after she gave birth to Stormi. Rob and Tyga are also "concerned about the men Chyna brings around their kids," and have yet to meet her new 18-year-old rapper boyfriend. "They are worried because they don’t know much about the young rapper who throws more money down the drain than Tyga," a source told the magazine.